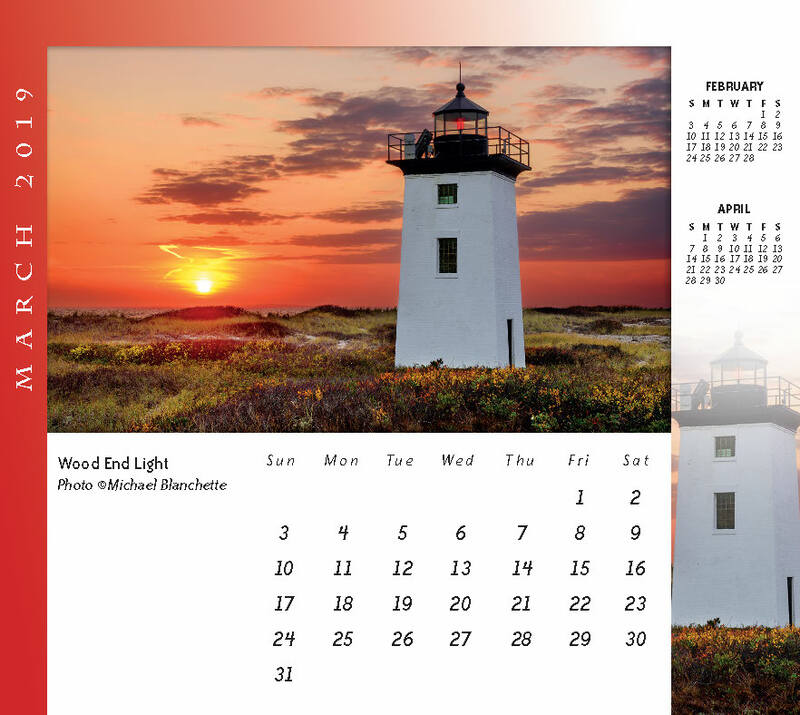 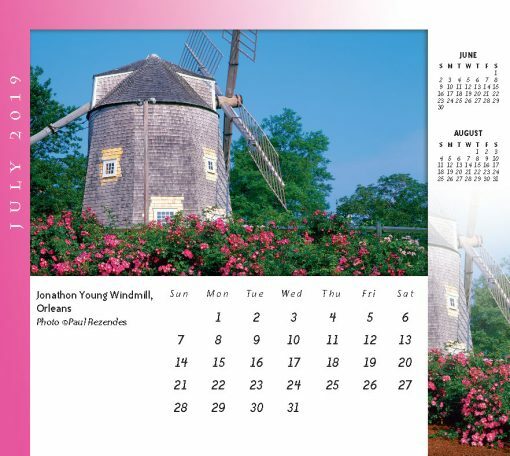 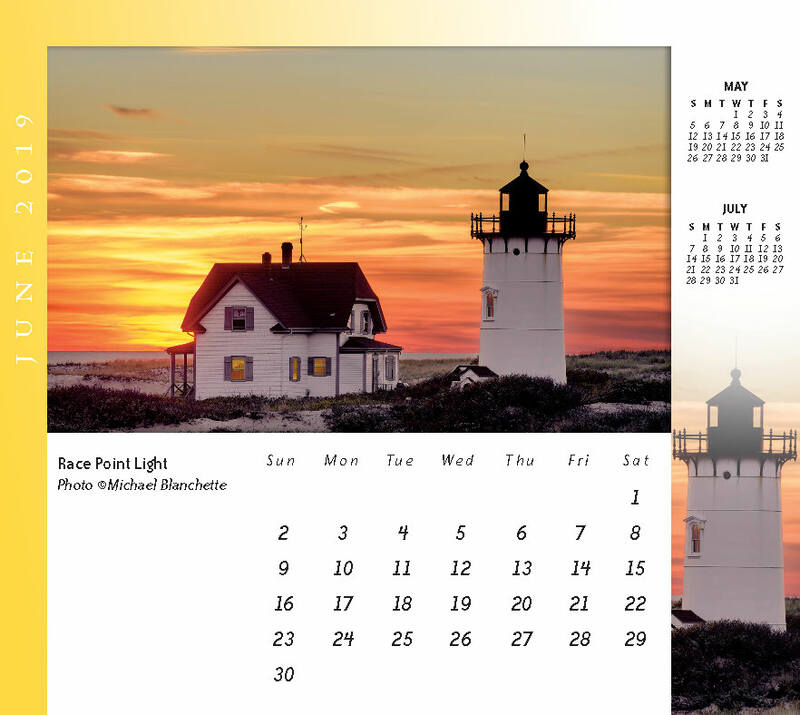 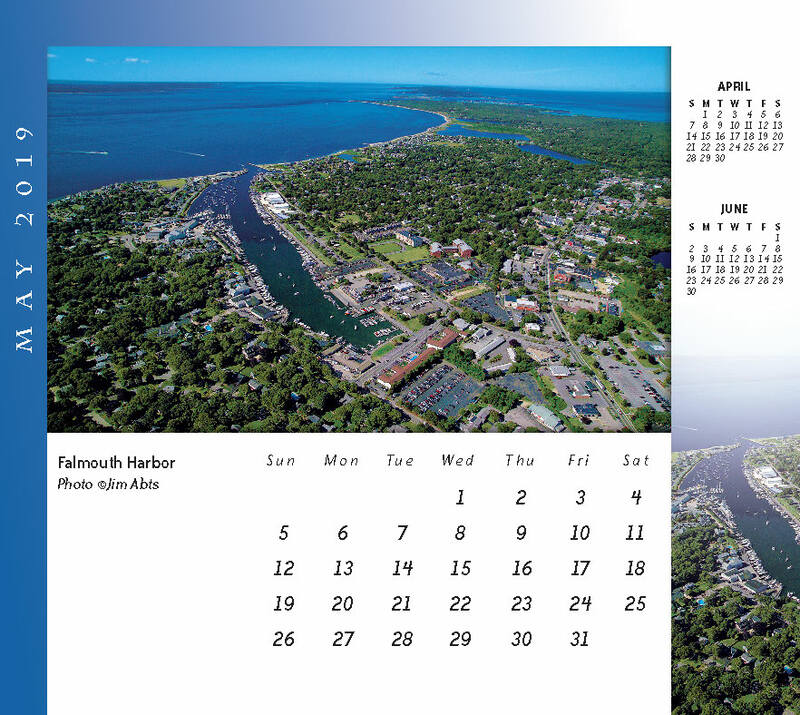 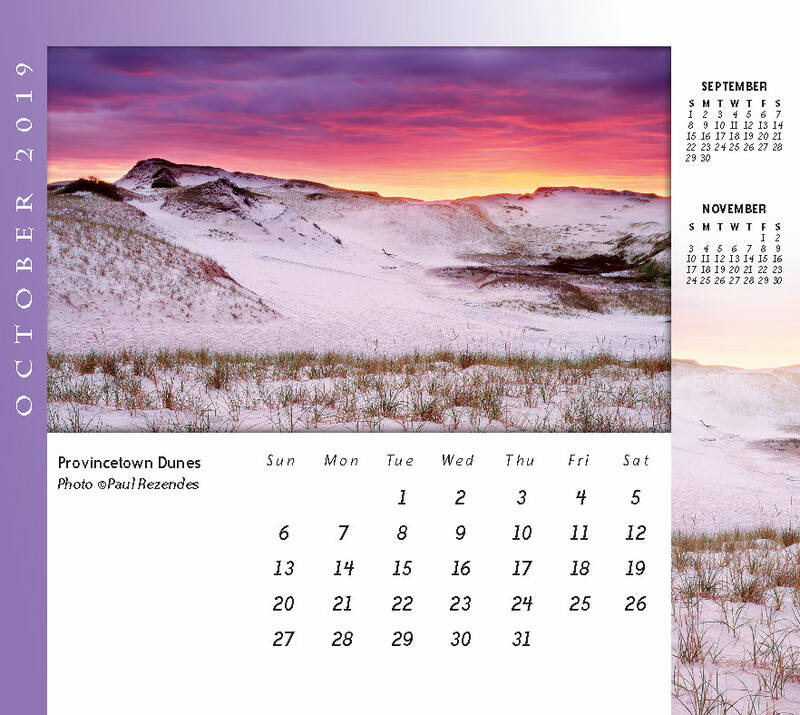 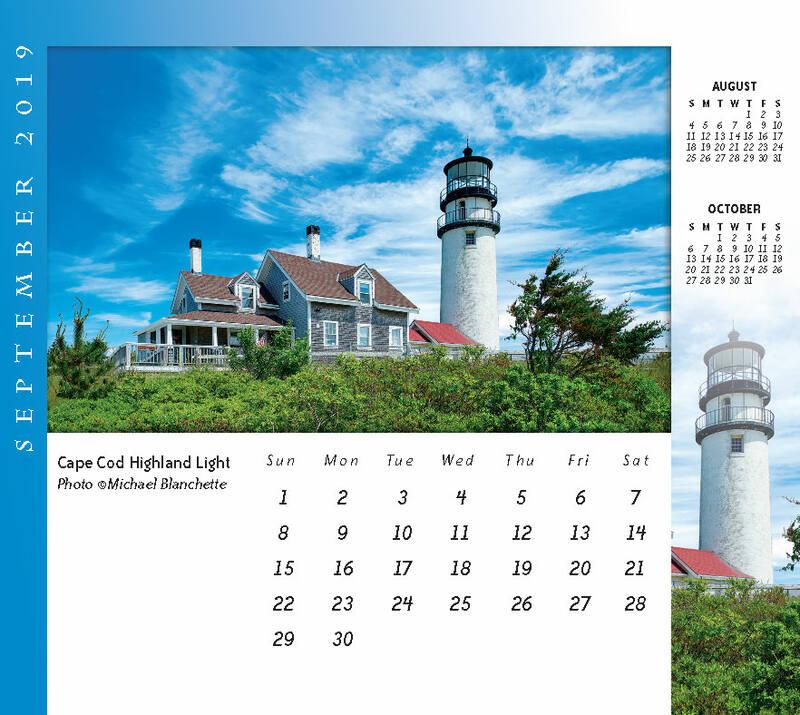 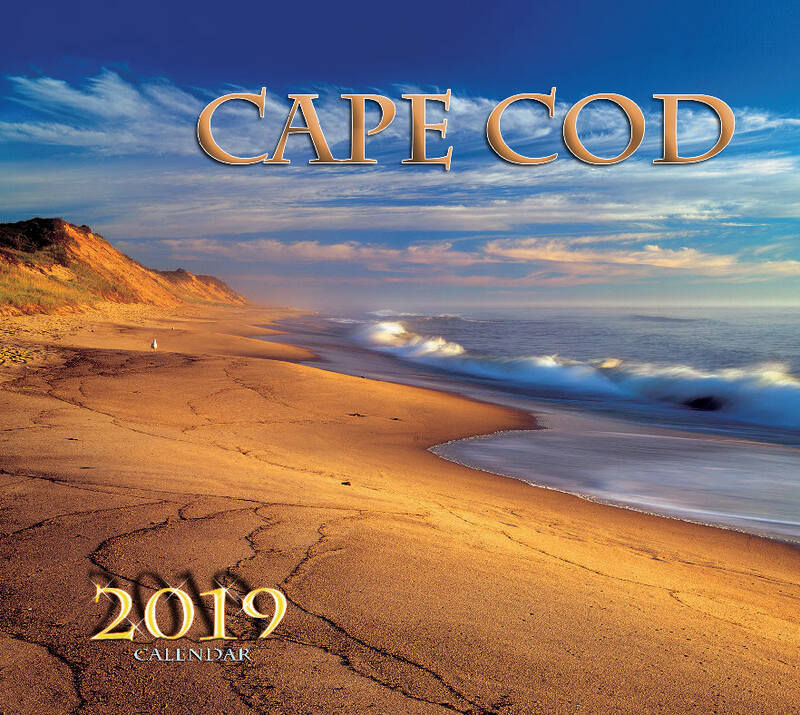 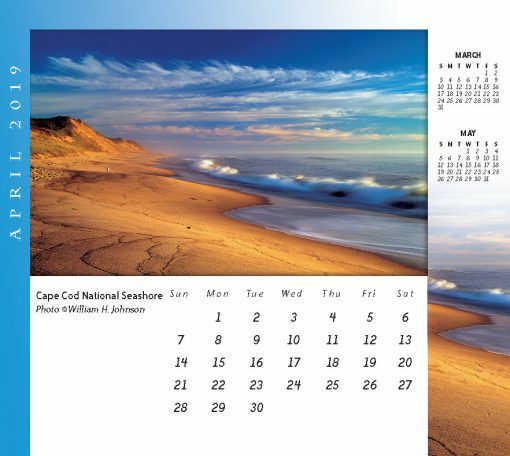 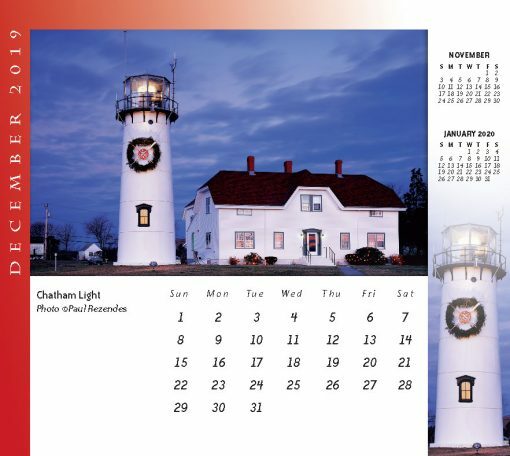 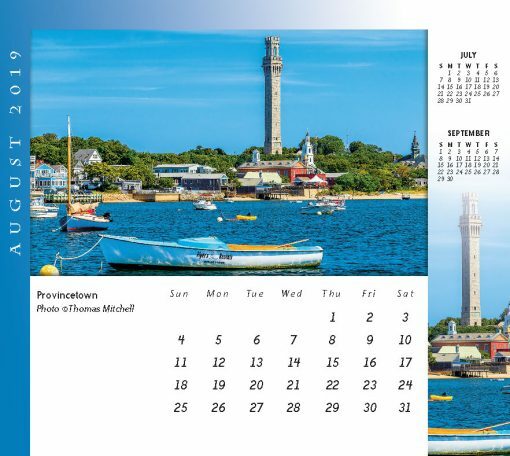 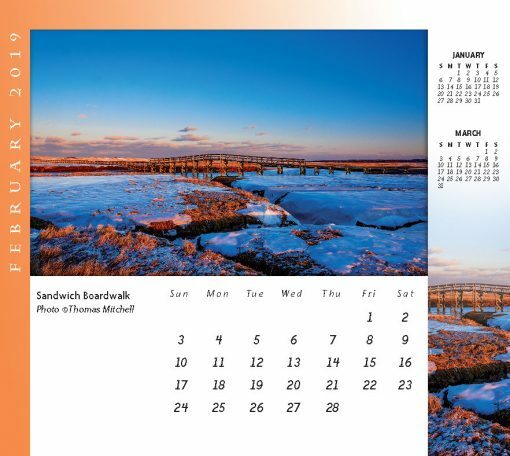 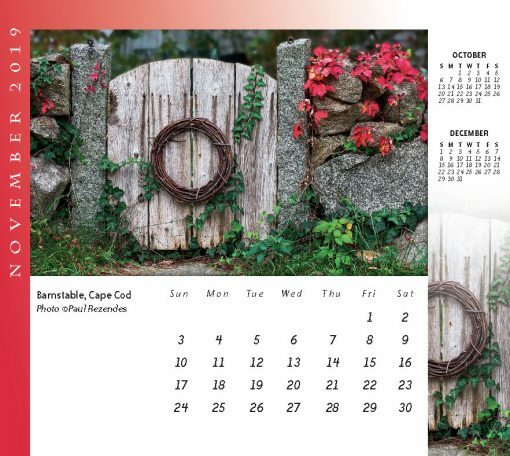 Scenic Cape Cod spiral bound engagement desktop/wall calendar. Twelve glossy prints with full color views of Cape Cod. 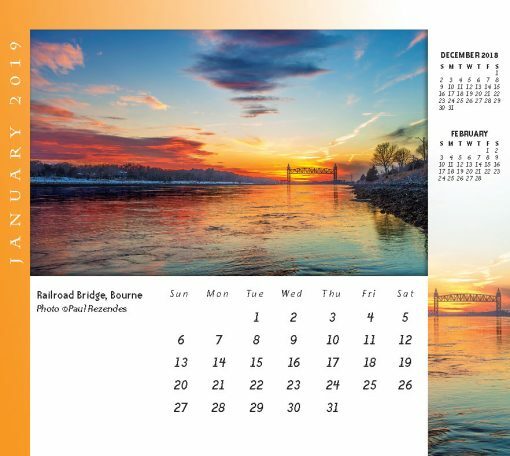 Suitable for desktop or wall hanging. 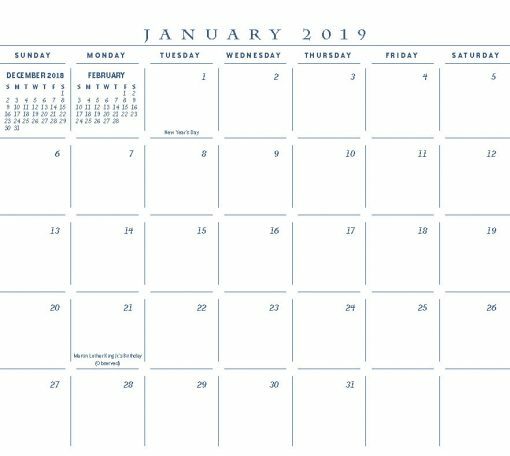 US holidays and moon phases included.